Copley, OH – December 2018 – DebtNext Software, a hosted inventory management and operations software provider, welcomes Louis Thomas as its new Sales Executive. In his new role, Louis will manage the sales efforts as the Company expands into new industry verticals and will join DebtNext in its Northeast Ohio headquarters located in Copley, Ohio. Louis brings over 10 years of sales and business strategy experience within the High-Tech Industry. For the past decade, Louis has worked in various sales and sales management roles and was most recently responsible for business development at a boutique engineering firm. Due to his unique experience, Louis has developed innovative strategies that expand market share and increase revenue. Louis has been honored with awards numerous times for his consistent high performance, dedication to clients and outstanding achievements. His education background includes a Bachelor of Business Administration with a specialization in Marketing from Cleveland State University. “We’re very excited to have Louis joining our team as a leader in helping us continue to grow our client base and strengthen our product offering”, said Paul Goske, President of DebtNext Software. “Louis brings a great deal of experience in articulating software value propositions to his clients and we’re looking forward to him continuing in that capacity as we enter into new markets”. DebtNext Software has been delivering robust solutions for their clients’ recovery management needs since its founding in 2003. Their industry leading Platform is currently used by some of the nation’s largest utility, telecommunications and financial services companies to help manage and optimize the placement of their accounts receivables with third party collection vendors. DebtNext Software is headquartered in Copley, Ohio. For more information, visit www.debtnext.com, or email sales@debtnext.com. Copley, OH – November 2018 – DebtNext Software, a hosted inventory management and operations software provider, today announced that it has completed its SOC 2 Type II audit. This attestation provides evidence that DebtNext Software has a strong commitment to deliver high quality services to its clients by demonstrating they have the necessary internal controls and processes in place. SOC 2 engagements are based on the AICPA’s Trust Services Criteria. SOC 2 service auditor reports focus on a service organization’s non-financial reporting controls as they relate to security, availability, processing integrity, confidentiality, and privacy of a system. KirkpatrickPrice’s service auditor report verifies the suitability of the design and operating effectiveness of DebtNext Software’s controls to meet the standards for these criteria. 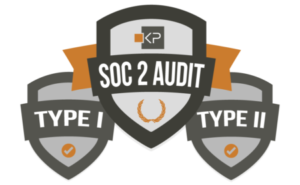 “Our team is extremely proud of the effort that has gone into attaining the SOC 2 Type II attestation and appreciate the partnership with Kirkpatrick Price and their efforts in the audit. The protection of our clients’ data is a critical element of our success, and the policies and procedures we have put in place that are validated through this annual audit aid in our continual improvement in that area”, said Paul Goske, President of DebtNext Software. KirkpatrickPrice is a licensed CPA firm, PCI QSA, and a HITRUST CSF Assessor, registered with the PCAOB, providing assurance services to over 800 clients in more than 48 states, Canada, Asia, and Europe. The firm has over 13 years of experience in information security and compliance assurance by performing assessments, audits, and tests that strengthen information security and internal controls. KirkpatrickPrice most commonly provides advice on SOC 1, SOC 2, PCI DSS, HIPAA, HITRUST CSF, GDPR, ISO 27001, FISMA, and CFPB frameworks. For more information, visit www.kirkpatrickprice.com, follow KirkpatrickPrice on Twitter (@KPAudit), or connect with KirkpatrickPrice on LinkedIn. Copley, OH – May 2018 – KirkpatrickPrice announced today that DebtNext Software, hosted inventory management and operations software provider, has received their SOC 2 Type I attestation report. The completion of this engagement provides evidence that DebtNext Software has a strong commitment to deliver high quality services to its clients by demonstrating they have the necessary internal controls and processes in place. DebtNext has been delivering robust solutions for their clients’ recovery management needs since its founding in 2003. Their industry leading Platform is currently used by some of the nation’s largest utility, telecommunications and financial services companies to help manage and optimize the placement of their accounts receivables with third party collection vendors. DebtNext Software is headquartered in Copley, Ohio. For more information, visit www.debtnext.com, or email sales@debtnext.com. KirkpatrickPrice is a licensed CPA firm, PCI QSA, and a HITRUST CSF Assessor, registered with the PCAOB, providing assurance services to over 700 clients in more than 48 states, Canada, Asia, and Europe. The firm has over 13 years of experience in information security and compliance assurance by performing assessments, audits, and tests that strengthen information security and internal controls. KirkpatrickPrice most commonly provides advice on SOC 1, SOC 2, PCI DSS, HIPAA, HITRUST CSF, GDPR, ISO 27001, FISMA, and CFPB frameworks. For more information, visit www.kirkpatrickprice.com, follow KirkpatrickPrice on Twitter (@KPAudit), or connect with KirkpatrickPrice on LinkedIn.